For Blender 2.8, merging or collapsing Edit Mode elements together, vertexes, edges or faces, is actioned from the Vertex menu, upper-left side of the 3D View, where most Edit Mode options formally available as Mesh » Vertices are now more readily available. 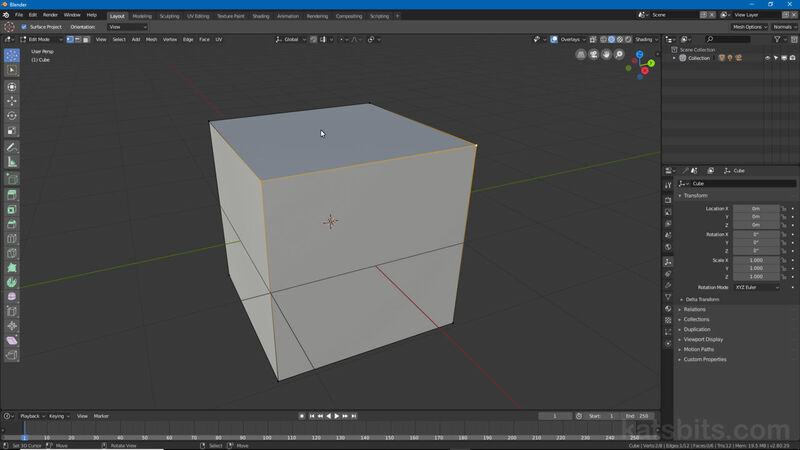 Design note: in Blender 2.8 the Vertices, Edges and Faces sub or secondary tier menu options previously accessible under Mesh are now primary menus when Edit Mode is active. To merge elements together, first make a vertex, edge or face based selection then from the Vertex menu click Merge Vertices (Alt+M) – Vertex » Merge Vertices. In the Merge pop-up menu that appears select At First, At Last, At Center, At Cursor or Collapse. Design note: the options to merge selections together At First and At Last appear only when Vertex select is the active mode of selection (when in Edit Mode). The options to merge elements together in Edit Mode have a dedicated Vertex menu – make a selection then click Vertex » Merge, choosing a target from the available options in the Merge pop-up menu that appears. Merging vertices and other elements together in Edit Mode is to be found under the Vertex menu as Merge Vertices (main 3D View).